This is the Dance of Sakura, a culmination of my techniques. In particular, I created a wax mold of the design and carefully polished this base. Then, I cast the wax in sterling silver and polished again. A sterling silver chain is attached on each side of the pendant, with wrapped wire containing gold-filled beads and a clasp to finish. It also required polishing and finishing the details. The ephemeral nature of the single sakura blossom inspired me to capture its dying dance. As a mother of two young children, the tiny, pink sakura blossom reminds me of fragility. People grow. Flowers wither. But, their legacy endures. The twisted branches bring forth these delicate flowers each spring. The slightest wind cannot blow away my silver creation. It can adorn anyone for years to come. Description - Necklace standard length is 16 inches - Dance of Sakura necklace is solid 925 sterling silver. - Weight: 9(g) ♥All jewelry from Maki Y. Design will package with Kraft box; Gift Wrap Included. Happy shopping! 【購物之前 Before Purchasing】 + Maki Y. Design / 于玨工作室平常有既定工作行程，如果發問，我們會儘量於 1- 3 個工作日內回覆 (不含例假日)，手工訂製首飾製作到出貨時間約為 7 - 10 個工作日 (不含例假日，不含物流)，請您耐心等候，也非常謝謝您的體諒！ +Maki Y Design INC Studio has tight work schedule. If you have any questions, we will try to reply to 1-3 working days (excluding holidays). Handmade custom jewelries will take 7-10 working days to finish (excluding holidays, excluding shipment dates), please be patient, and thank you very much for your understanding! + 天然石多少有冰裂紋、雲霧，每顆顏色與切磨形狀也無法像人造寶石一模一樣。以珍珠為例，每顆天然養殖珍珠的顏色形狀也都有些小小的差異，所以成品所使用的天然半寶石及珍珠，與照片中的可能不會完全相同，但這也是天然素材獨特的魅力，同一件飾品我們會盡力挑選顏色及品質級數相當的天然石做搭配，能接受再下訂喔。 + All natural stones are usually have ice cracks, clouds , and every single color and shape is also not like the artificial cutting exactly the same such as lapmade gemstones. Such as pearls, every single natural color of cultured pearls have a slightly different shape, so natural semi-precious stones used in the finished product and pearls, and it may be different slightly from the one pictured, but it is also a unique personality charm of natural materials. For the same piece of design jewelry we will try to pick the color and quality of the series is quite natural stone to do with. If you can accept those natural charms and then placed your order. + 純銀、銅材質會隨時間以及使用者佩戴方式而產生氧化，不能接受者不建議購買。如要減少氧化情形，請您按照我們提供的飾品保養方法保養，其實銅氧化後所散發出低調內斂的氣質也是很令人迷戀的。 + Sterling silver, copper are oxideable material can generate over time, or the user wearing styles. If the expectation that the product will not oxidite overtime, we won’t recommended buyers to purchasing them. To reduce oxidation case, please follow Jewelry Maintenance We provide maintenance, in fact, after the copper oxide exudes a low-key and reserved temperament is attractive as well. +請注意，本設計舘所有的客製鋼印飾品可能會跟相片中略有不同。每件作品都是純手工打上金屬。字母和數字可能不是完美筆直或對齊。這應該被視為本設計舘飾品的獨特的樣子，而不是一個缺陷或瑕疵。 +Please note that all stamp jewelry from Maki Y. Design may different slightly from the one pictured. Each piece is hand stamped by me. Letters and numbers may not be perfectly straight or aligned. This should be viewed as a unique feature of the piece of jewelry and is not a defect or flaw. + 大部分Maki Y Design / 于玨 設計舘的手鍊/項鍊會提供尺寸選擇，或是可調式的設計。但還是請您在購買前再次確認自己的尺寸唷。 + Most handmade bracelets and necklace from Maki Y Design offers size selection, or adjustable design. But still kindly remind all our customers always duble check before your purcasing. 【飾品保養 Jewelry Care & Cleaning】 +純銀飾品的保養&保存方式 純銀飾品在露天和濕度的時間過長會導致其很快失去光澤。純銀飾品在變色初期會出現金黃色，然後迅速變為黑色。這是純銀金屬因為空氣中的濕氣以及陽光引起的氧化反應。這也是純銀飾品正常的反應。 為了減少您的純銀飾品變色，建議純銀首飾存放在密封鍊夾袋。 來自皮膚的天然油脂有助於降低純銀飾品的變色，越常穿戴就可以越減少機會純銀的氧化。 + Storing & Care sterling silver jewelry Storing sterling silver jewelry in the open air and humidity for extended periods of time can cause it to tarnish quickly. Sterling silver jewelry tarnish first appears as a golden hue on sterling silver, then quickly turns to black. This is a normal process that is caused by oxidization and moisture from air and sunshine. To reduce tarnish and keep sterling silver jewelry tarnish free, it is recommended that sterling silver jewelry be stored in an air-tight plastic zip lock bag. The natural oils from the skin help minimize the tarnishing of sterling silver items, so the more frequently a piece is worn, the less likely it is to tarnish. + 避免純銀飾品損壞 當您在執行廚房工作，園藝，打掃，請脫下您的純銀首飾，以防止物理損壞或暴露於化學品或清潔劑。 + Some tasks that should be avoided when wearing jewelry include kitchen work, gardening, cleaning the house and other common tasks.PLEASE remove sterling silver jewelry during those tasks. When performing manual tasks, remove your jewelry to prevent physical damage or exposure to chemicals or cleaning fluids. + 請在化妝後才戴上您的飾品。 + Put Jewelry On After Applying Makeup. + 強烈建議不要在淋浴、游泳或是洗溫泉時穿戴您的飾品。 + Don't Wear Jewelry In Bath; Swimming Pools and Spas. +純銀飾品的清潔 用柔軟的100％棉布清潔純銀首飾或珠寶專用清潔布(拭銀布)輕輕擦掉任何多餘的污垢或沾上的化妝品。純銀是一個非常軟的金屬，如果擦它擦的太快是可以被劃傷的。千萬不要用任何其他工具清理您的純銀飾品，如果使用刷子是必要的，請使用乾淨，非常柔軟的毛刷，就像一個嬰兒牙刷或馬鬃刷輕柔的刷洗您的純銀飾品。一般的紙，聚酯和粗糙的面料往往含有木纖維或合成纖維，會在純銀飾品表面留下刮痕。 另一種方法來去除在純銀飾品中的細小灰塵，指紋印子或殘留化妝品，只需1/2杯溫水中添加少量溫和的液體洗碗劑，輕輕地清洗飾品，並用乾淨清水徹底沖洗。萬一需要清潔飾品中隙縫，可建議使用軟毛刷。在飾品完全乾燥後存放在在氣密鍊夾袋。 + How to clean your sterling silver jewelry Clean sterling silver jewelry with a soft 100% cotton (nub free) cloth or jewelry cleaning cloth and gently rub off any excess dirt or makeup. 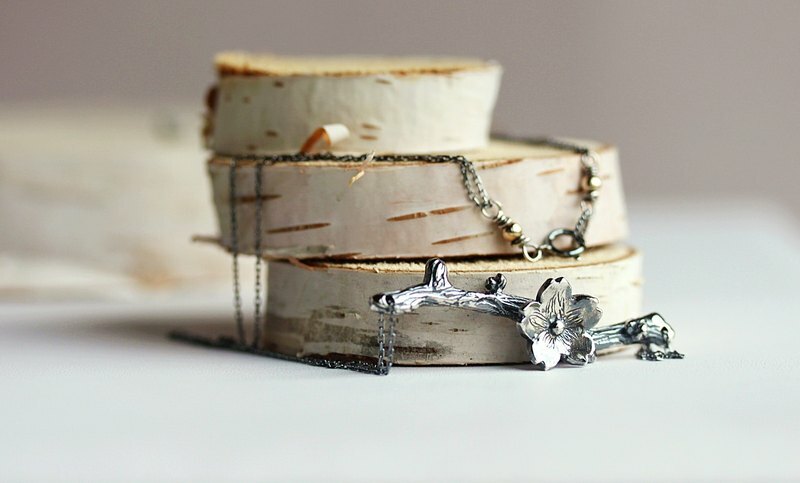 Sterling silver is a very soft metal and can be scratched if it is rubbed it too briskly. If a brush is needed, never use anything but a clean and very soft bristle brush, like a babies tooth brush or a horsehair silver brush. Paper, polyester, and coarse fabrics often contain wood fibers or synthetics, that can cause tiny scratches in the surface of sterling silver jewelry. Another way to remove light dirt, fingerprints or makeup on sterling silver jewelry is to just add a small amount of mild liquid dishwashing detergent in a 1/2 cup of warm water, gently wash the item, and rinse thoroughly with clean fresh water. A soft bristle brush may be used to clean the corners or crevices of the item. Dry it completely before storing it in an air tight zip lock bag. + 珍珠是美麗的。不幸的是，在所有寶石的標準硬度理頭珍珠表層的硬度非常低，非常容易損壞。因為它是一種有機化合物，珍珠也很容易被其他物品刮傷，也非常容易受化學物質侵蝕。在非常溫和的肥皂水中清洗養殖珍珠。特別是假如您經常穿戴，每隔幾年可以將養殖珍珠珠寶重新整理。 +Pearls are beautiful. Unfortunately, the layers of nacre of which a pearl is made are very soft by jewelry standards and easily damaged. Since it is an organic compound, pearls also are easily dulled or even eaten away by chemicals and alcohol. Wash cultured pearls in very mild, soapy water and nothing else. It's also a good idea to bring your cultured pearls in for restringing every couple of years, especially if you wear them often. + 銀飾如採特殊硫化黑銀處理，請勿過度擦拭，以免黑銀設計效果消失。 +If your sterling silver jewelry with special oxidized treatment, do not over-clean, avoid oxidized design effect disappears. All designs and content, rights reserved © 2012 by Maki Y Design, INC.